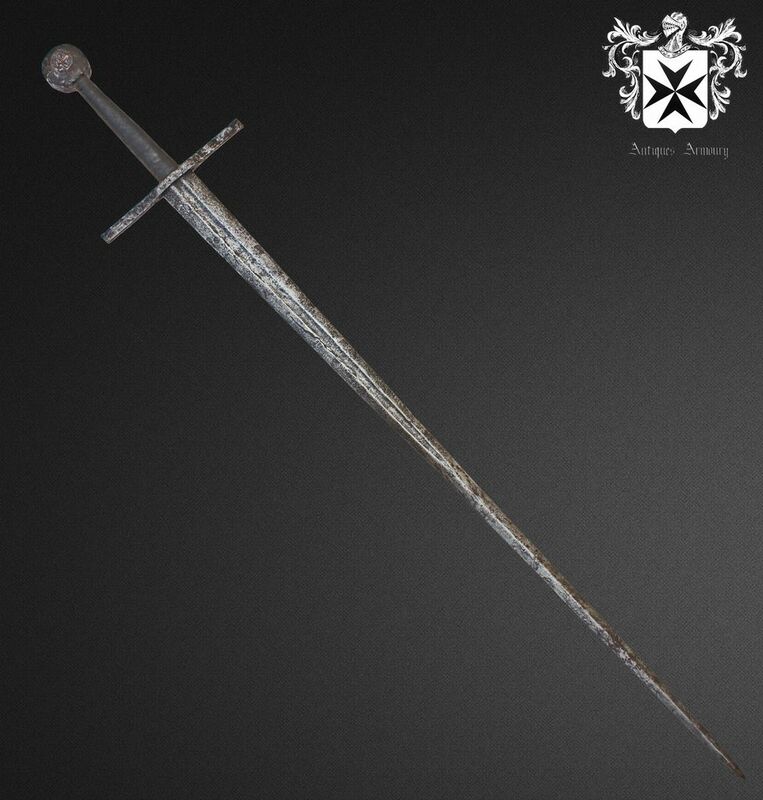 A rarely seen Knight's longsword from the 14th century, this one thought to be of French origin. 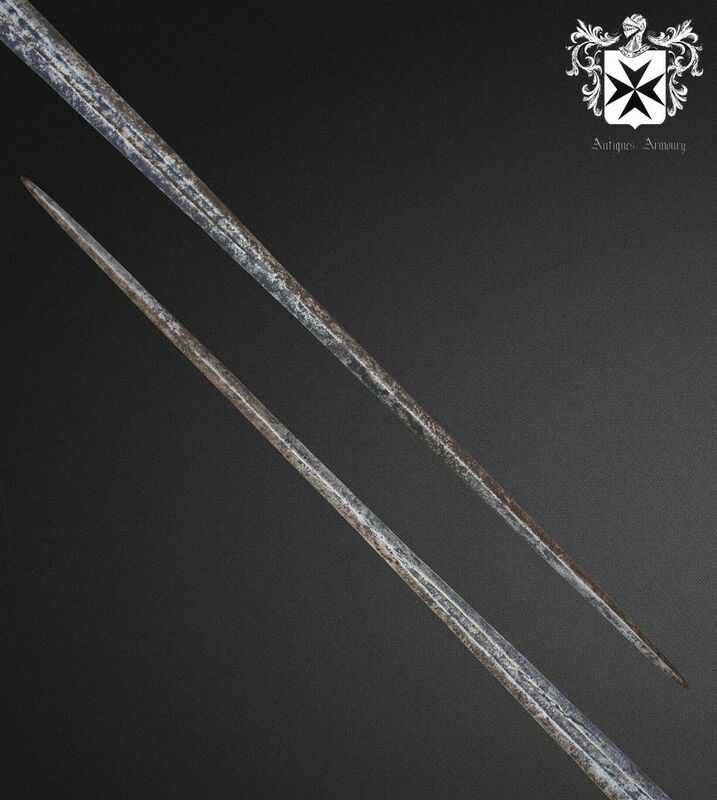 These swords are super rare when they are in a fine state of preservation. 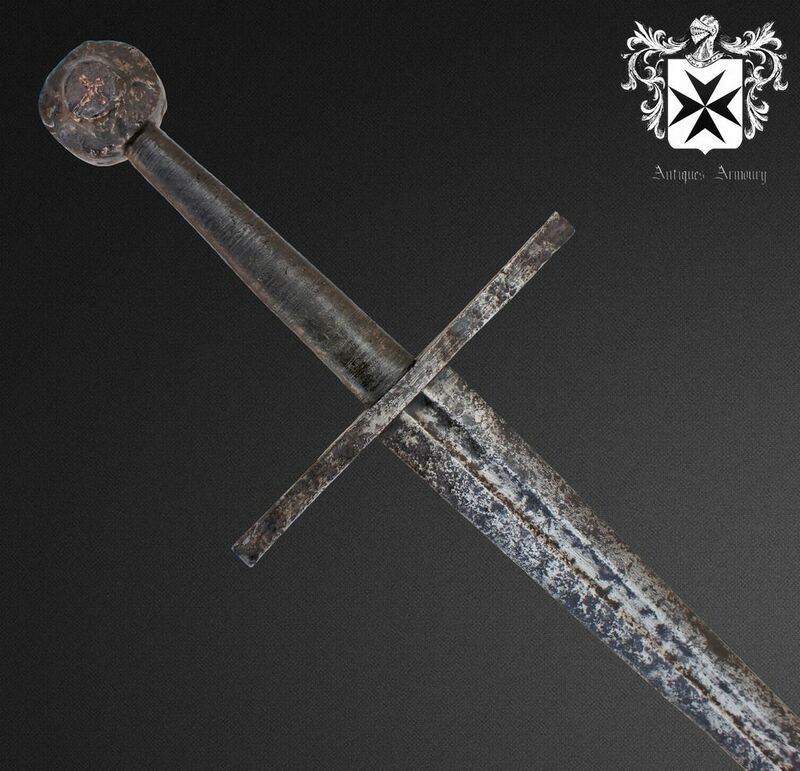 This particular sword has all original parts with no loose fitting. 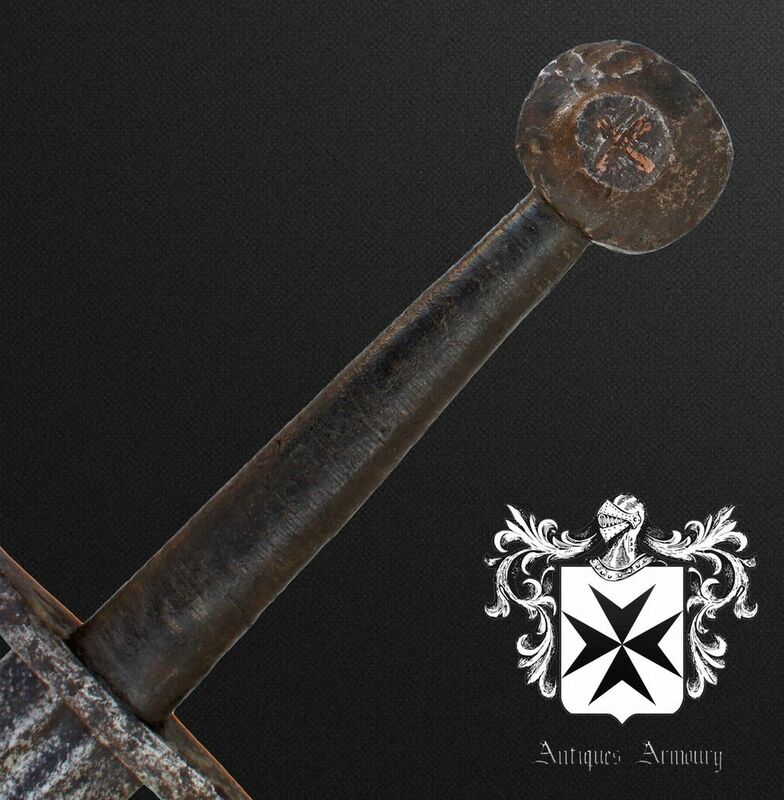 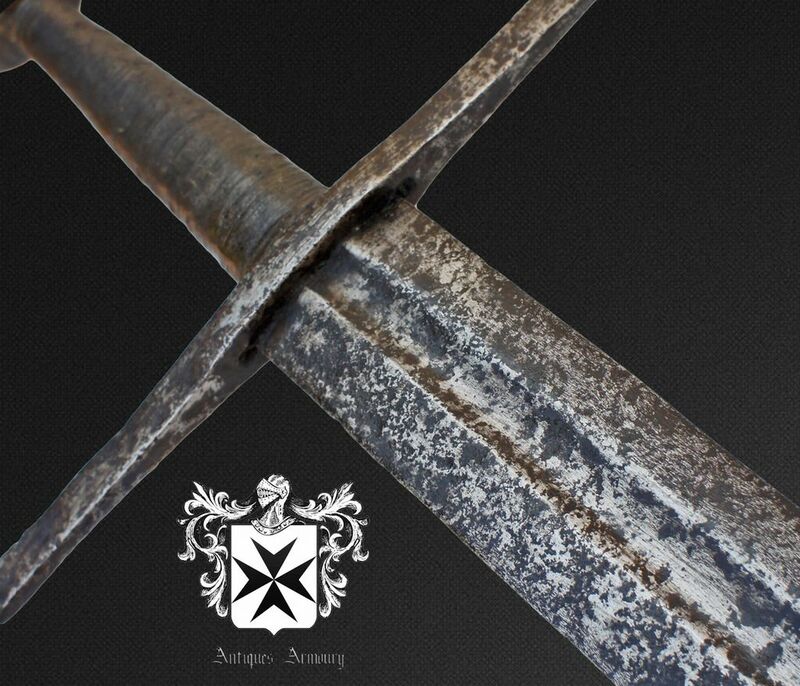 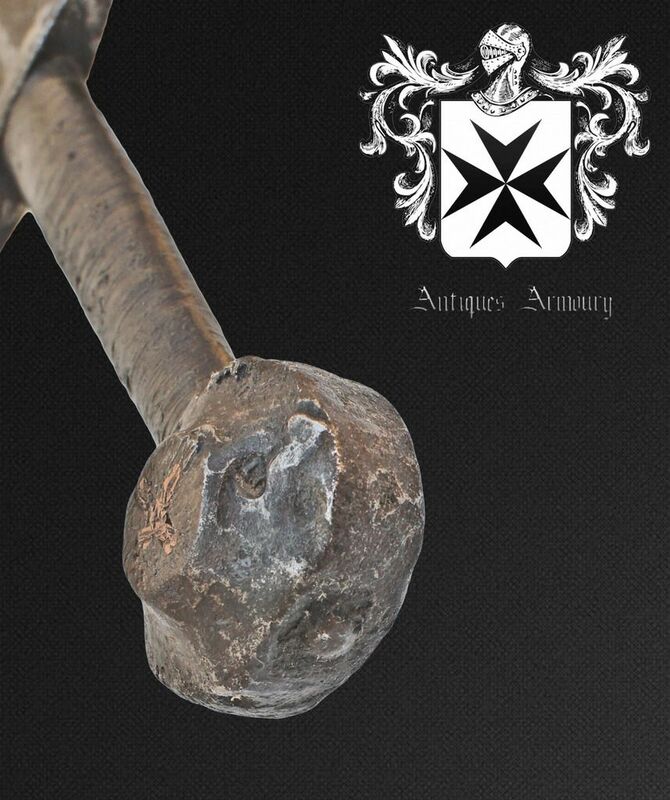 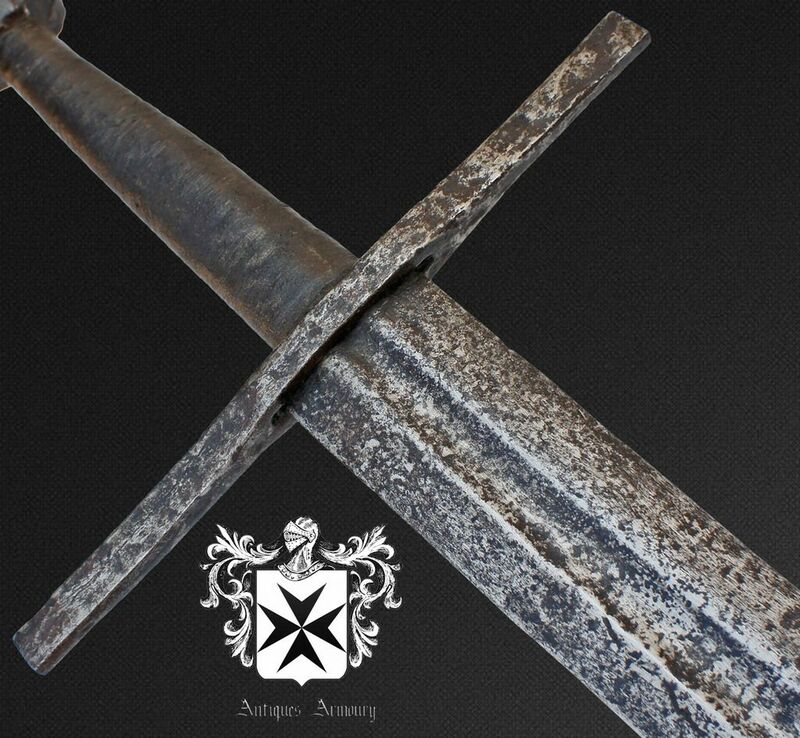 The hilt has the handle with wood and leather wrapping and crucifix cross guard. 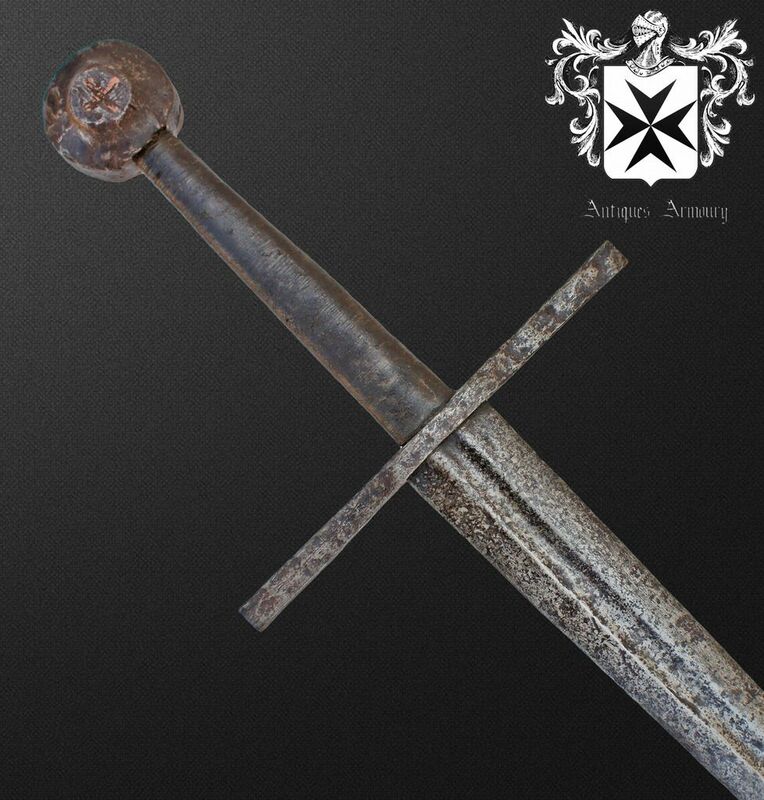 The sword blade and pommel are perfectly fitted with no looseness or wobble present. 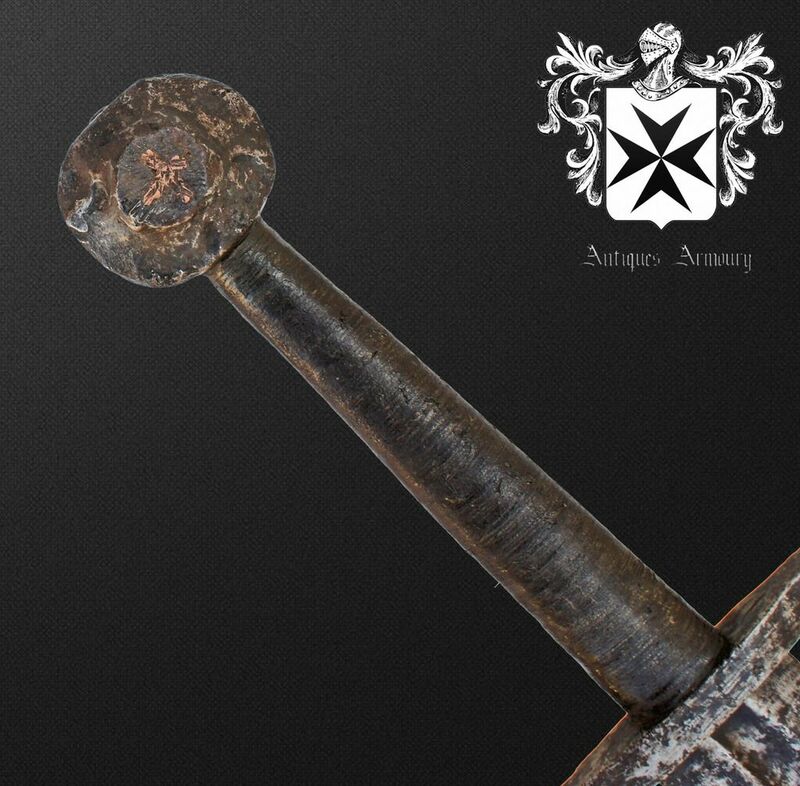 The pommel is fitted with crosses and inlaid with copper.